vergeboard in the north gable. The porch posts, brackets, and spindles reflect the Eastlake style. The Merrill residence is the largest and most architecturally interesting of the nineteenth-century houses remaining in East Jacksonville. James E. Merrill started a small iron work business in Jacksonville in about 1875. Known as the Merrill-Stevens Engineering Co. by the late 1880s, the iron work became one of the largest shipbuilding companies in the Southeast. Through its many name changes, the shipbuilding company was an active participant during the Spanish-American War, World War I and World War II. Victorian era lifestyle is showcased in this elaborately decorated family home that also highlights a lifestyle of limited electricity and plumbing. 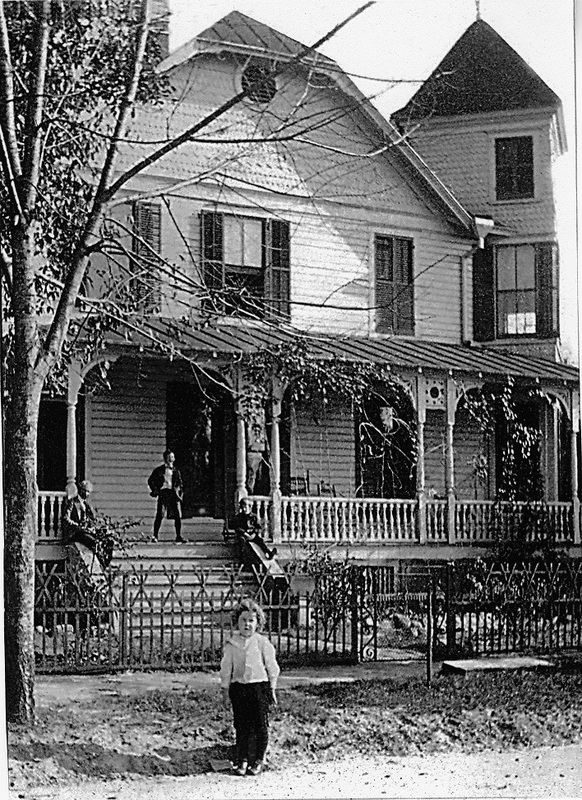 The Merill House was saved from demolition in 2000 by the Jacksonville Historical Society and City of Jacksonville. The tour should last any where from 45 minutes to 2 hours, depending on the group. Due to the size of the rooms, up to 12 people are allowed in a group per tour. Tours will be held by reservation ONLY. Please phone the Jacksonville Historical Society office, 904.665.0064, or email info@jaxhistory.org for a Merrill House Tour! Your reservation is free, but we suggest a $10.00 donation for the tour. As a member of the Jacksonville Historical Society, your admission is free. Join us Oct. 24th for Chills and Thrills!